buy cytotec australia no prescription Our site This is an online fiddle lesson for the tune "The Bonnie, Bonnie Banks of Loch Lomond." BluegrassDaddy.com is your best source for Bluegrass, Old Time, Celtic, Gospel, and Country fiddle lessons! 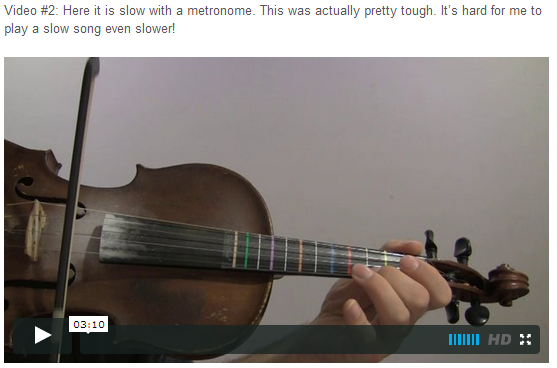 This popular fiddle tune is the basis of quite a few folk songs. Two of the oldest and most popular are "The Bonnie Banks of Loch Lomond" (Scottish) and "Red is the Rose." (Irish). Many musicians will modulate on the last verse. 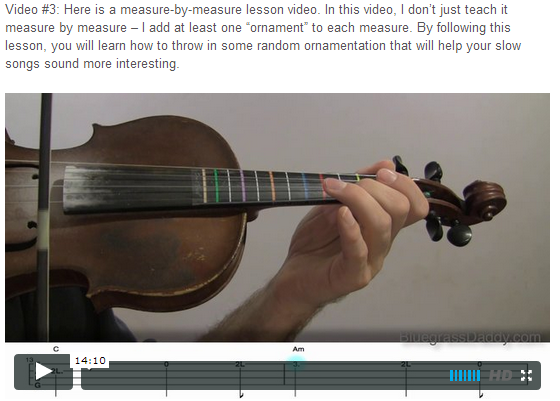 I teach this song in C going to D. To play the song in F going to G, simply play the tabbed version on the lower three strings (GDA) instead of the upper three strings (DAE). Video #1: Here is a video of me performing the fiddle tune "The Bonnie, Bonnie Banks of Loch Lomond." 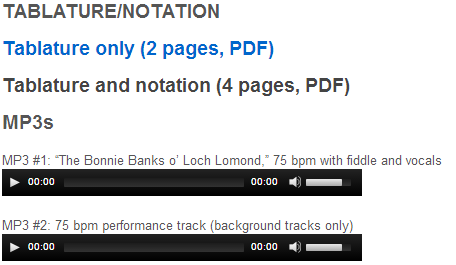 "The Bonnie Banks o' Loch Lomond", or simply "Loch Lomond" for short, is a well-known traditional Scottish song (Roud No. 9598) first published in 1841 in Vocal Melodies of Scotland. In Scotland, the song is often the final piece of music played during an evening of revelry (a dance party or dinner, etc). 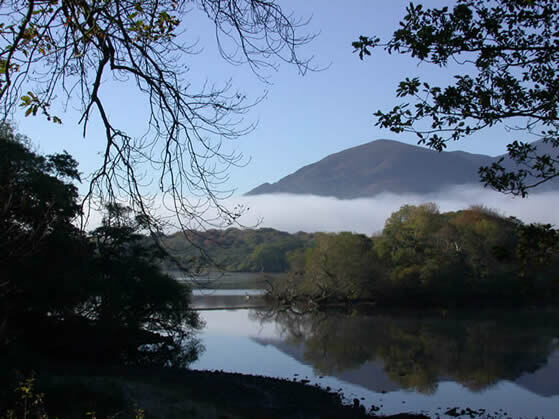 Loch Lomond is the largest Scottish loch, or lake, located between the counties of Dunbartonshire and Stirlingshire. 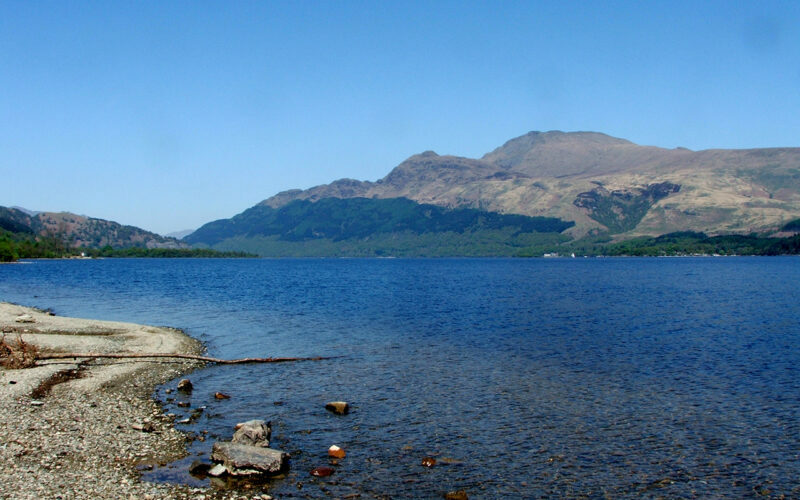 Ben Lomand is a distinctive peak on the east shore of Loch Lomond. The original composer of the tune is unknown, as is definitive information on any traditional lyrics. There are many theories about the meaning of the song. Most are connected to the Jacobite Uprising of 1745, and alternate lyrics have been composed based on this battle. One interpretation of the 'Low Road' is that it refers to the traditional underground route taken by the fairies who transported the soul of a dead Scot who died in a foreign land - in this case, England - back to his homeland to rest in peace. The "High Road" is probably the high road that linked London and Edinburgh. In this case, a dying soldier is telling a friend that they will both return to Scotland, but he will go on the 'low road' or that of the dead, and be home first. By the bonnie, bonnie banks o' Loch Lomon'. An' the moon comin' oot in the gloamin’. The Irish variant of the song is called "Red Is the Rose" and is sung with the same melody but different (although similarly themed) lyrics. It was popularized by Irish folk musician Tommy Makem. Even though many people mistakenly believe that Makem wrote "Red is the Rose", it is a traditional Irish folk song. The theme is the same as "Bonnie Banks o' Loch Lomond:" A soldier is leaving and fears he will never again see his loved ones. This topic contains 1 reply, has 2 voices, and was last updated by mikhaelynwhite58 5 years ago.